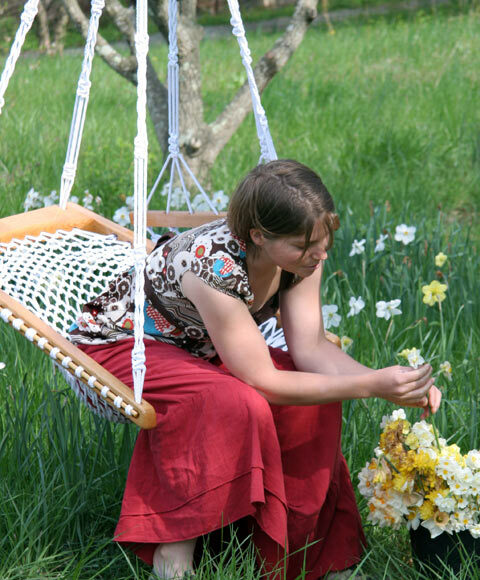 A unique porch & yard swing chair that features comfortable back support with our patented hand-finished oak frame and woven seat design. The rope fiber is made mostly from recycled soft-drink bottles. It feels as soft as cotton, but with the durability and weatherability of polyester. 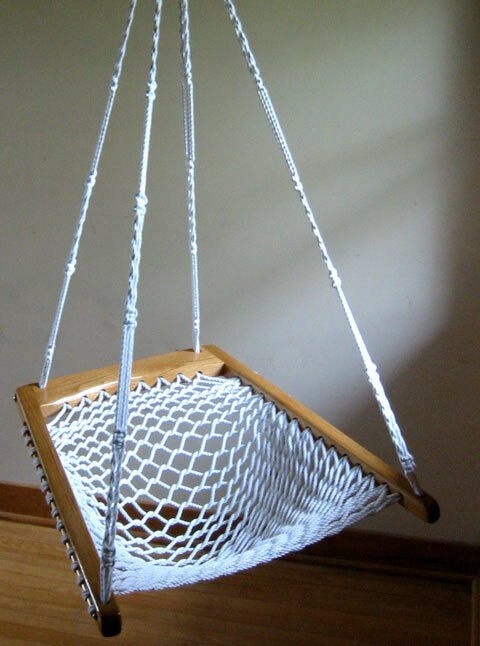 Macrame rope hanger and included customized hardware make our chair exceptionally safe and stable. Suspend from ceiling joists, beams or under a favorite tree. Arrives assembled with hanging hardware and instructions included. Not a stock item: available by special order only -- expected delivery 2-3 weeks from order date. Frame light-colored, unstained, finished with two coats of varnish for outdoor and indoor use.